I was playing MK1 and I start to reading the bios and endings for the fighter. One thing make me think. Well, Raiden in MK1 was not the good advisor, the good god that he is now. Raiden accept the challenge of Tsung to compete in mortal form. When he wins, it says that Raiden use the tournament to create a battle between the gods, that destroyed our planet. I think that the comics and movies change Raiden's atitude, don't you think? *sigh* How many times does this need to be explained? Raiden's ending in the original game NEVER HAPPENED. His ending would have only bene true if he was the one that beat Shang Tsung. It wasn't Raiden that beat Shang Tsung, it was Liu Kang. The only ending from the original game that's real is Liu Kang's ending. Forget Raiden's ending, it never happened. i think that he was going to be evil but at they eventuall changed him. I thought he sounded kind of evil as well in the first one, but like White_Pointer said you can't follow the endings. They are iffy at best. I mean look at UMK3. Cyrax is trapped in Jade's desert. For that to happen he would have to have been captured by Sub Zero, reprogrammed and able to defeat Shao Kahn. That is how his story said he would end up lost in the desert. But he didn't beat Shao Kahn so him in the desert is just a snazzy little point of confusion. I díd not say that the ending of Rayden had to be considered. I just say, how the things changed game a game. Raiden's bio on MK1, says nothing about the good protector. Only says that he is powerful god. But, about considering endings, I think that some fits perfectly to the story. The desert that Cyrax stranded, is real, because the special forces rescue them in MKDA. Well, in MK Gold says that was the Lin Kuei. 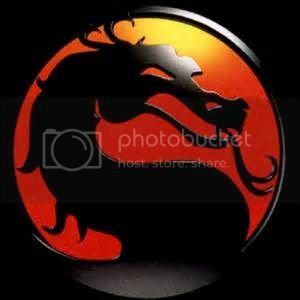 follow the story with Liu Kang's ending. Not Raiden's. If Rayden is an all powerful god, then how come he never wins any tournaments? There's only been two tournaments, the first two games. Raiden didn't win either of them because when he participated he took on the form of a human which means he kind of relinquished most of his uber Thunder God powers. I think you're right. He was evil. I always wondered why they changed Raiden. I guess they figured that in the face of all the evil sorcerers and other Outworld henchmen, the good guys needed at least one immortal on their side. But I did like him better as an evil character. In MK1, Raiden is a total rebel, he doesn't care; he's just there to prove his might over the puny humans. I kind of hope they someday decide to make him evil again.